Nahanni takes the lead on concrete operations at Gahcho Kué Diamond Project. 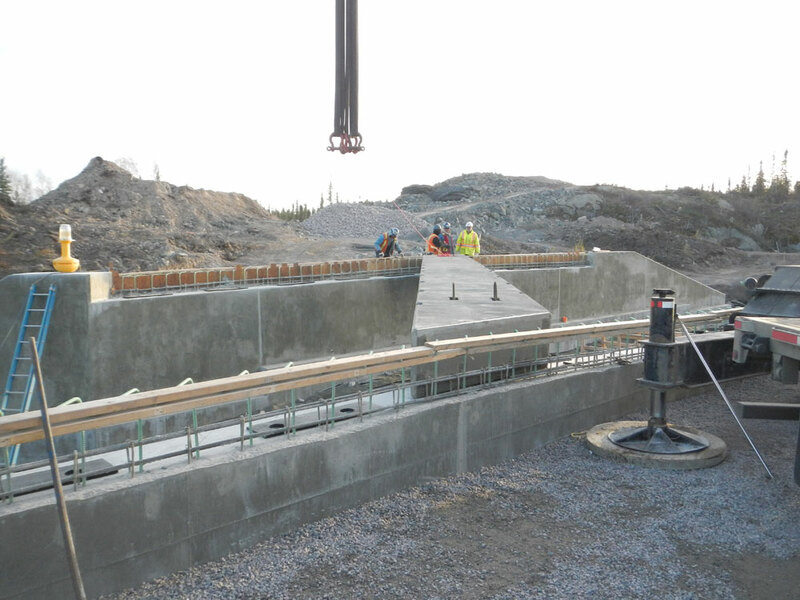 Nahanni Construction Ltd. was contracted to do the foundation construction for the Gahcho Kué Diamond Mine. This is the fifth major mining project developed in the Canadian Arctic in the past 20 years. Nahanni Construction has played a key role in the construction of all five of these mines. The Gahcho Kué Project is a joint venture between De Beers Canada (51% – the operator) and Mountain Province Diamonds (49%). Located in the Northwest Territories, approximately 280 km northeast of Yellowknife, Gahcho Kué went into production in the second half of 2016. Remote mine construction is always complicated by the fact that mobilizing equipment and supplies can only be done seasonally. There is a two-month window in which all supplies necessary for project implementation need to be coordinated to be sent up the ice road. 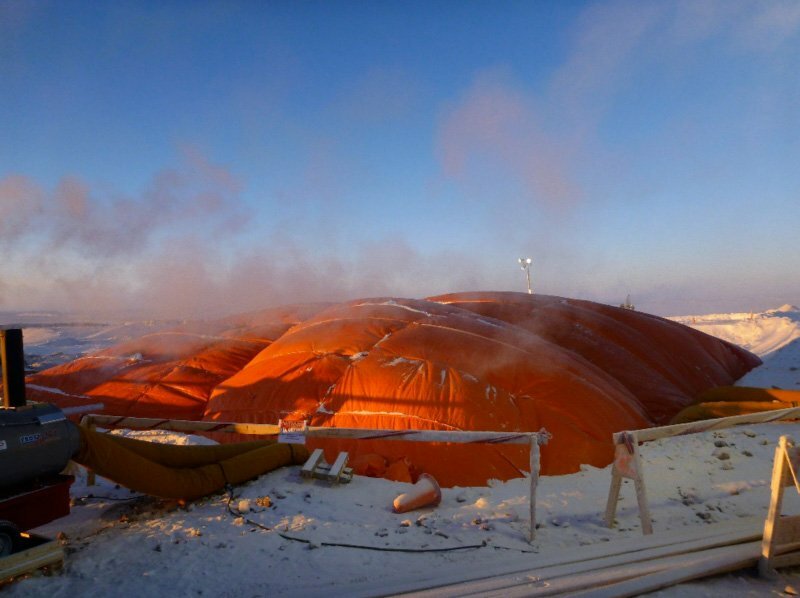 Gahcho Kué faces this challenge with the addition of a project schedule that includes concrete operations in the middle of the harsh northern winter where temperatures regularly reach -45 degrees Celsius. Nahanni faced a unique challenge in having the contract awarded in late October, just before winter began and well before the seasonal ice road opened. In order to advance the construction schedule, Nahanni was able to mobilize concrete production equipment to the mine site via a Hercules aircraft in December. 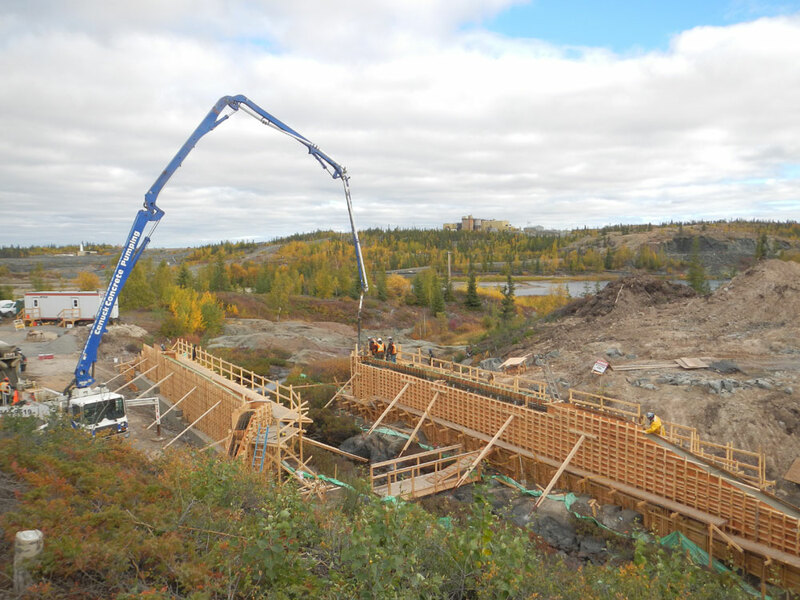 Once the ice road season had been wrapped up, Nahanni built and commissioned a fully functional concrete batch plant on the project site. 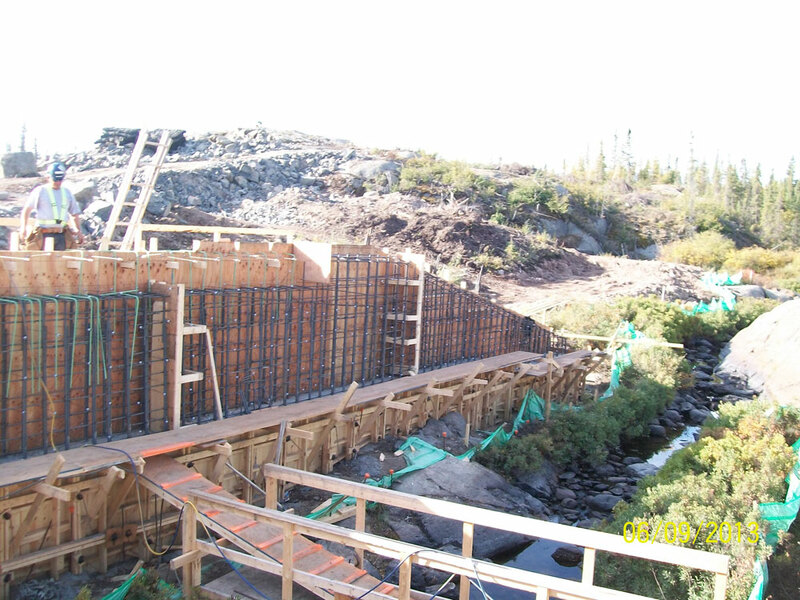 Nahanni was responsible for all aspects of concrete on this project, starting with rock cleaning to ,forming, rebar placement, and finally, concrete placement and finishing. 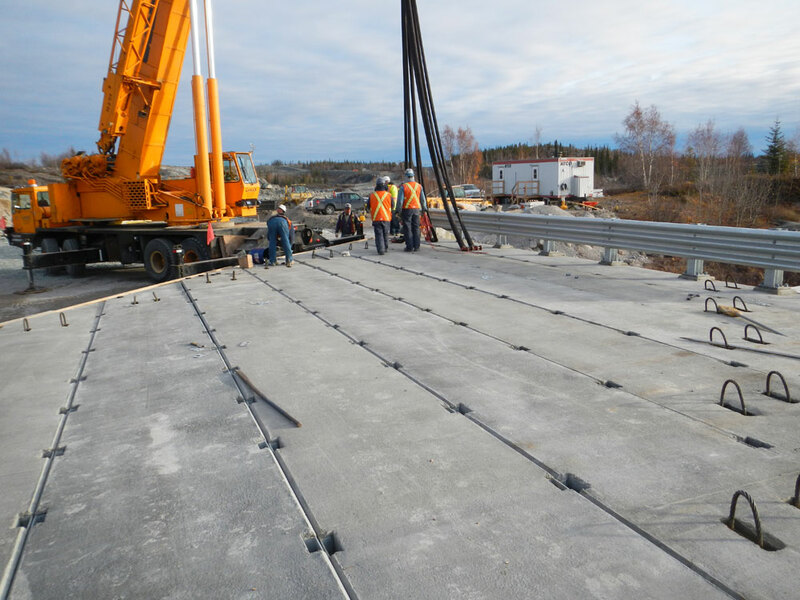 All equipment required for the concrete operation needed to be delivered on the winter road so that he project could be completed on time. This took a team of seasoned northerners five months to strategize and implement a plan that was a cornerstone of the mobilization efforts that led to a successful project. Gahcho Kué is the fifth major mining project developed in Canada’s North in the past 20 years. 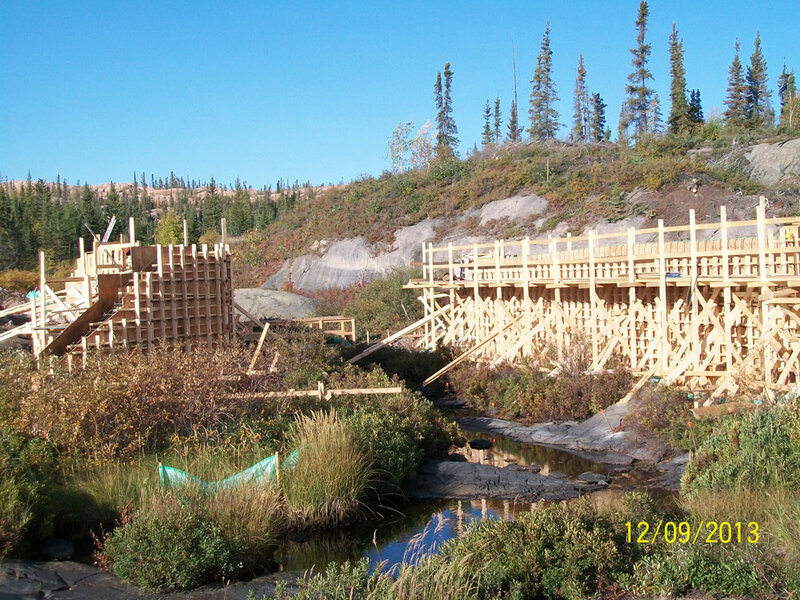 Nahanni Construction has played a key role in the construction of all five mines. Portions of the Gahcho Kué concrete operations were undertaken in the coldest months of the year when temperatures can reach as low as -45 degrees Celsius. Small concrete batching equipment was transported by heavy-haul aircraft to speed up construction schedules. Coordination with other contractors onsite was very important as multiple work faces advances simultaneously.